Note: Comes with black chain hanger if ordered in less than case. Case quantities shipped with standard black wire hangers. Case of 15 black powder coated wire baskets, 15 compressed moss liners and 15 standard black wire hangers. 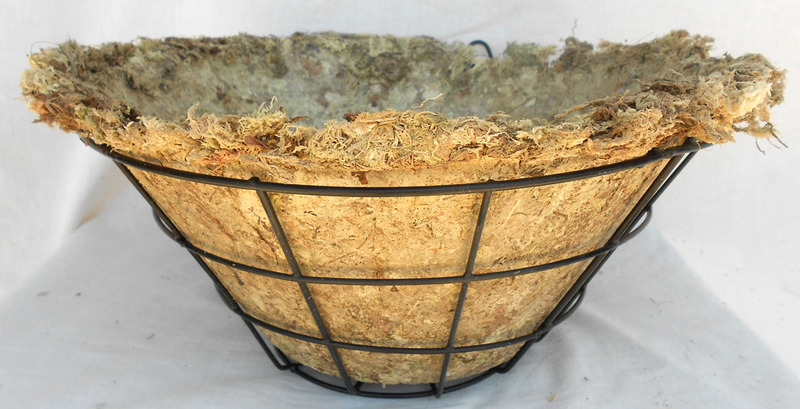 Sphagnum Moss Liner Only 18"
Sphagnum moss compressed liner for standard wire basket. Sphagnum moss liner compressed for standard wire baskets. Case of 15 liners.